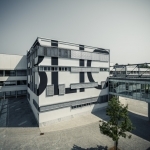 The Alpen-Adria Universität Klagenfurt offers excellent education opportunities in Information and Communication Engineering (ICE) through a Bachelor, Master and PhD program. The 3-years Informationstechnik Bachelor trains basic skills in mathematics, physics, electrical engineering, and software development. It also covers electronics and circuits, signals and systems, measurement and control engineering, computer and network technology. The 2-years ICE Master program provides substantial knowledge, skills, and methods in ICT. Students not only gain broad knowledge, but also specialize in one of the two majors: Networks and Communications, or Autonomous Systems and Robotics. A third major is a combination of ICE and economics and business lectures (in German: “Wirtschaftsingenieurwesen”). The master program is held in English and thus allows international students to join our courses. 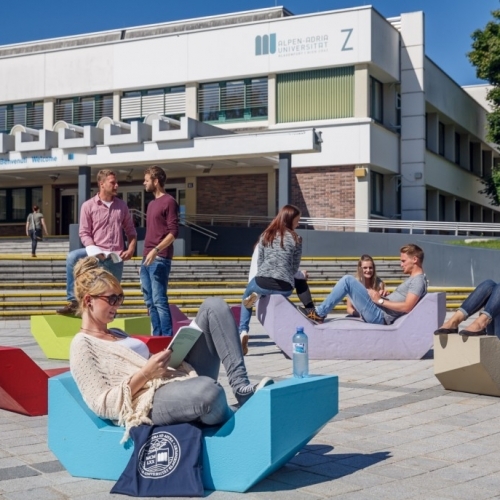 An international double degree program with the University of Udine is also available. The Doctoral program is individually tailored to the respective research topic, where supervisors act as guides toward the PhD. Most of the doctoral students are employed in research projects or funded by international programs. Students are expected to publish research results in international journals and present at peer-reviewed conferences. Signal theory, random processes, complex signals representation, analog modulation, optimum quantization, digital modulation and optimum detection, optimal sequence estimation and linear equalization algorithms. PLC applications, PLC channel characterization and measurements, PLC channel modeling, transmission line theory, modulation techniques for PLC, MAC an cooperative protocols for PLC, narrow band and broad band standards. Master lecture, summer semester, jointly within the double degree with University of Udine, Italy. Cellular principles, mobile radio channel modeling, digital modulation in fading channels, MIMO techniques, multicarrier modulation, code-division-multiple-access, ultra wide band, radio localization. Signals and systems, Fourier series and Fourier transform, Elements of random variables and processes, Transmission of information, Base band and pass band modulation techniques. Digital signals and systems, Fourier and Laplace transform for discrete time signals, digital filters and design methods, principles of multirate signal processing. Selected topics in communications, embedded systems, smart systems, smart grids, smart car. Selected research topics in communications and embedded systems. Dive into recent topics in communications and embedded systems. A number of agreements have been made with international universities to foster collaboration in teaching and research.